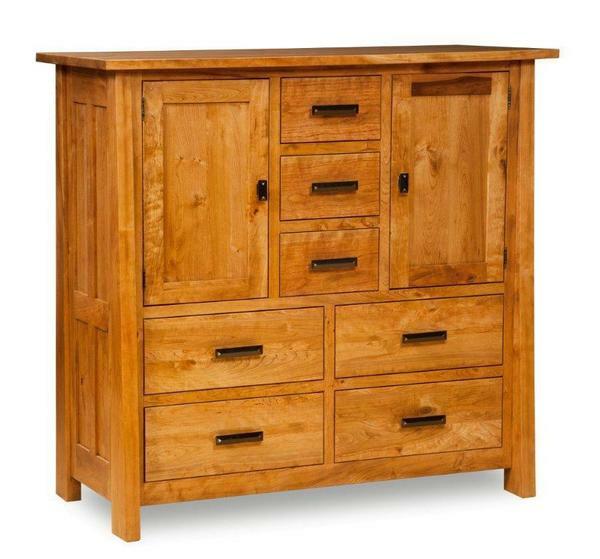 The Amish Freemont His and Hers Chest of Drawers is shown in rustic cherry wood with our chestnut stain. This modern Mission chest of drawers has 1 3/4" thick solid corner posts that are cut on an angle, dovetailed drawer boxes with full extension drawer glides and solid hardwood side panels. If you are looking for a matching bed consider our Freemont Mission Panel Bed or the Freemont Mission Slat Bed.